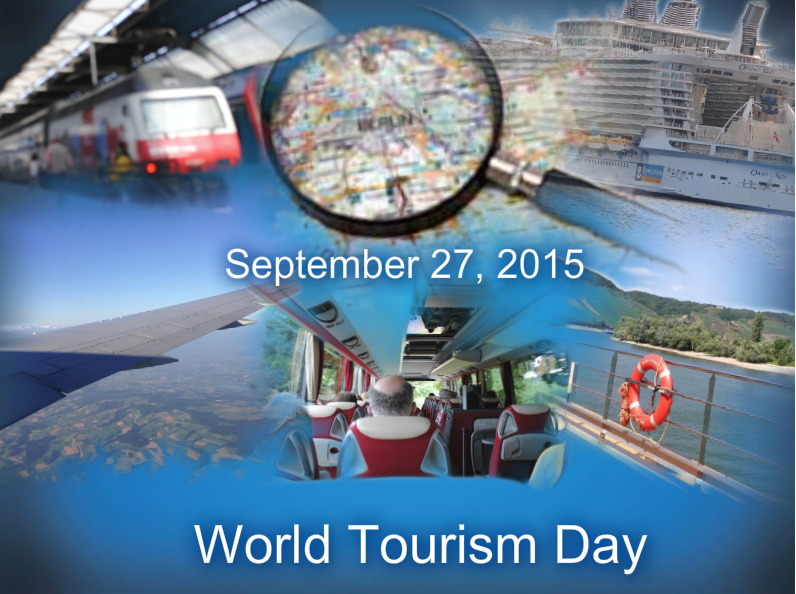 September 27th is a day to observe all the wonderful things about travel and vacations. 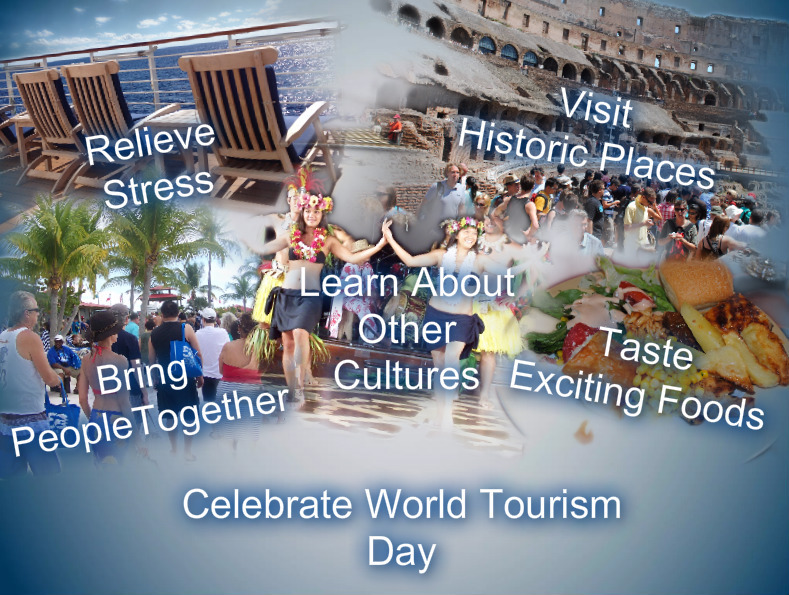 Tourism is today the 3rd largest export industry in the world after chemicals and fuels. It brings hope, prosperity and understanding to so many lives and livelihoods all over the world. Last year alone, 1.235 million travellers crossed international borders in one single year. By 2030, this 1.2 billion will become 1.8 billion. The UN General Assembly declared 2017 as the International Year of Sustainable Tourism for Development. This is a unique opportunity for all of us to come together to promote the contribution of travel and tourism as a grand 21st century human activity, to build a better future for people, planet, peace and prosperity. On September 20th, Havana welcomed Royal Caribbean Empress of the Seas guests. The terminal, port and transportation were ready and all tours ran as scheduled. The city is ready and receiving visitors and delivering the authentic experience this historical destination is known for. Today, Key West welcomed Empress of the Seas guests back there as well. Mayor Craig Cates was there to greet passengers as they disembarked. The pictures, courtesy Royal Caribbean's Travel Itinerary Update, from their most recent visit to Havana are below. On September 10th, Hurricane Irma made landfall in the Florida Keys knocking out power and causing extensive damage to Key West and the rest of the Keys. Cruise ships, including Royal Caribbean Empress of the Seas, had itineraries cancelled or modified. Not all of Key West is up and running, but several key sights opened up for the first time Sunday to welcome guests from the cruise ship. What Key West needs now is money from tourism to help rebuild their city. Key West's Old Town Trolley tours was one of the popular attractions operating on Sunday. Their trolley cars were spared from the wrath of Hurricane Irma and their employees were back at work shuttling passengers around the town for the popular tour. It will be quite some time before most of the Caribbean recovers from two back to back major hurricanes. The cruise lines are vital to helping with the recovery. They have brought supplies and are donating funds to the recovery. Check with your favorite cruise line to see how you can help. The center of newly upgraded Hurricane Jose, at Sep 07/2100 UTC was near 13.9N 45.8W, or about 905 NM E of the Lesser Antilles. Jose was moving WNW, 285 degrees, at 15 knots. The estimated minimum central pressure was 994 mb. The maximum sustained wind speeds were 65 kt with gusts to 80 kt. Today almost 10 days later, it is still a powerful Hurricane with its sights on the East Coast of the United States. Life-threatening rip-currents are forecast along the coast. At 500 PM AST (Sep 16 2100 UTC), the center of Tropical Storm Lee was located near latitude 12.6 North, longitude 34.2 West. Lee is moving toward the west near 10 mph (17 km/h), and this motion is expected to continue through Sunday. A west-northwestward motion is expected Sunday night and Monday. For the second weekend in a row, we have three named storms in the Atlantic Basin. Tropical (5:00 PM AST Sat Sep 16) Depression 15 was just promoted to Tropical Storm Maria as it attained a wind speed of 50 MPH. Cruise Lines International Association (CLIA) is the world's largest cruise industry trade association with representation in North and South America, Europe, Asia and Australasia. Is Vacationing Either on Land or Sea During Hurricane Season Right for You? Unless you've been completely cut off from the outside world the past several weeks, you know that two major Hurricanes, Harvey and Irma, have had catastrophic impact on the Atlantic Basin. Besides the loss of lives, injuries, and damage in their wake, the travel industry has had to be on their "A" game to alter existing plans, sometimes with little warning. Many travelers were inconvenienced and had plans altered. At the same time, many were able to enjoy some vacation, albeit not what they had originally expected. While others had their vacations extended because they were unable to return home safely. Click on the image or link above to explore the pros & cons about booking a vacation during hurricane season which runs from June - end of November. In the wake of Hurricane Irma, the cruise industry is providing humanitarian relief and also continuing to adjust their schedules. This article brings you a summary of the latest updates along with links that you can utilize between our updates. Hurricane Maria is starting to impact, already modified itineraries as well. We will update this page as frequently as possible but for the very latest news, please consult the cruise line links below. This base image, courtesy NOAA, shows Hurricane IRMA approaching the U.S. Virgin Islands. As one of the most popular Caribbean cruise destinations, the devastation is truly saddening. Our thoughts and prayers go to all impacted by the hurricane, in the USVI, and all along its path. This update from Royal Caribbean Cruise Line makes me proud to be part of the cruise industry. Our thoughts and prayers are with our neighbors in San Juan and the other affected islands as they rebuild after Hurricanes Irma and Maria. 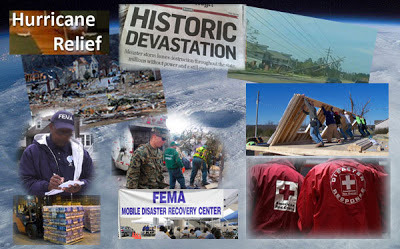 To learn more about our humanitarian efforts, click here. Given the impact of Hurricane Maria, we are cancelling this cruise to utilize the ship for evacuation and humanitarian efforts. The ship will arrive on Wednesday, September 27 and will operate humanitarian calls in San Juan, St. Thomas and St. Croix to aid in the evacuation and donate critical supplies to each destination. The ship will bring evacuees to Fort Lauderdale before returning to San Juan on October 6 to prepare for the October 7th cruise. Yesterday, September 20th, Havana welcomed our Empress of the Seas guests. The terminal, port and transportation were ready and all tours ran as scheduled. The city is ready and receiving visitors and delivering the authentic experience this historical destination is known for. For more frequent updates, please follow our meteorologist on Twitter @JamesVanFleet or visit the Royal Caribbean Facebook page. We are saddened by the devastation that Hurricanes Irma and Maria have inflicted in the Caribbean. The impact of these hurricanes have been felt on select islands in the Eastern Caribbean, which include our ports-of-call Tortola (BVI), St. Thomas (USVI), and St. Maarten. We are currently in contact with our local partners to assess any potential damages in San Juan, Puerto Rico. We are working with our partners on the ground on the affected islands to provide assistance to ensure these spectacular destinations are up and running and ready to welcome guests again very soon. In the interim, we have altered the itineraries for Norwegian Escape’s Eastern Caribbean cruises for the remainder of 2017. These new sailings are now available on www.ncl.com. Norwegian Cruise Line ships have resumed normal operations and many of our guests’ favorite Caribbean destinations remain unaffected by these storms. While we hope that our affected ports-of-call are operational again soon, we have the flexibility to alter future itineraries to ensure a great guest experience, if needed. Tropical Weather Update September 26, 2017 – 9:00 a.m. The September 23 and October 7 Disney Fantasy Eastern Caribbean sailings are being modified to include ports of call in the Western Caribbean. These two revised sailings will now visit Cozumel, Mexico; George Town, Grand Cayman; and Falmouth, Jamaica. Please know that further changes may be needed as the Caribbean islands continue to recover from the impacts of Hurricane Irma and that we will notify Guests should additional changes be necessary. Western Caribbean sailings will continue as scheduled. We continue to monitor Hurricane Maria and will confirm our itinerary once the post storm assessment has been completed. To stay up to date, please text CCL1 to CRUISE (278473). As a result of damage caused by Hurricane Irma, we have modified the following itineraries in order to provide our guests with the best possible shore experience. Geneva, September 26, 2017 – MSC Cruises, the Swiss-based world’s largest privately-owned cruise line and market leader in Europe and South America, has today announced updated Caribbean itineraries. These updates have come due to the recent tragic weather events that have affected populations as well as individual destinations across the region, including Philipsburg (St Maarten), Road Town (British Virgin Islands), and Roseau (Dominica). MSC Cruises remains committed to the Caribbean as a destination, with the continued operation of four ships over the next months, and the introduction of a fifth ship, MSC Seaside, from December. The Company has been working closely with officials, governments and other entities in the affected areas of the Caribbean in order to make an appropriate assessment about both existing destinations and those being introduced. Additionally, it will continue to work hand-in-hand with relevant parties to monitor and assess on an ongoing basis the availability of destinations that are not currently accessible. In the meantime, guests sailing in the Caribbean aboard MSC Divina, MSC Fantasia and MSC Seaside will experience an updated array of alternative Caribbean destinations for their cruise vacation. On the 7-night itineraries from Forte de France (Martinique) and Pointe-a-Pitre (Guadeloupe), MSC Fantasia will now call at La Romana (Dominican Republic), instead of at Road Town/Tortola (British Virgin Islands), and at Basseterre (St Kitts & Nevis), instead of at Roseau (Dominica), while spending an additional day at sea instead of calling at Philipsburg (St Maarten). On her Eastern Caribbean itineraries departing from Miami, MSC Seaside will now call at St John (Antigua and Barbuda), instead of at Philipsburg (St Maarten). 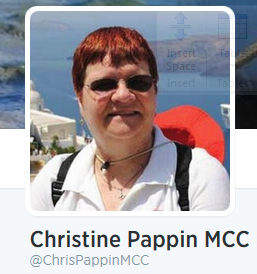 Historical: MSC Divina had shortened Eastern Caribbean cruise on September 2. 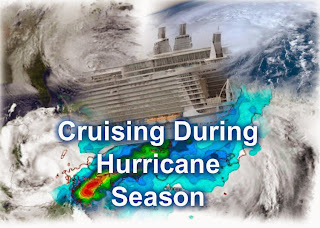 The September 9th cruise was cancelled an the next two cruises sailed modified Western Caribbean itineraries. Our goal remains, as always, to provide you with an unforgettable vacation experience, while continuously ensuring your safety and the safety of our crew. Our thoughts are ever with our friends and neighbors affected by the storm, and we truly appreciate your ongoing patience during this difficult time. 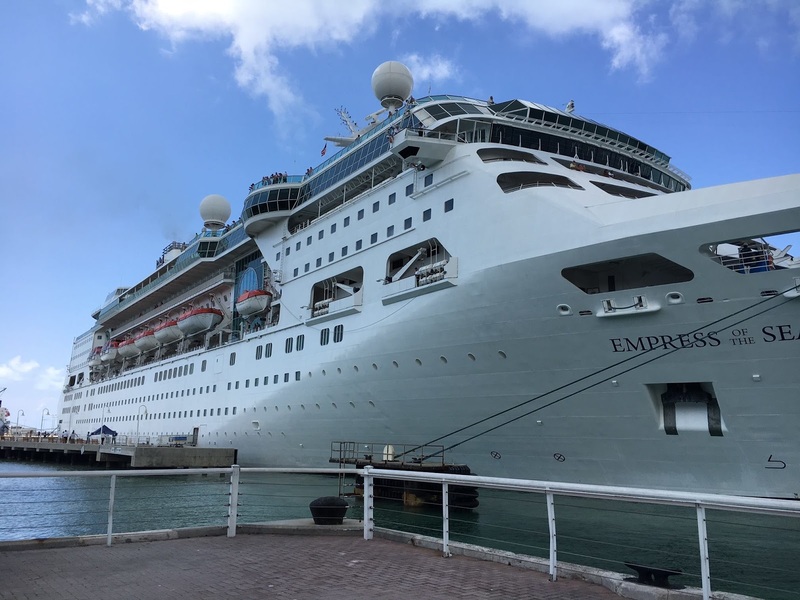 Impacted Ships: Celebrity Equinox, Eclipse, Summit, Reflection, Silhouette See Celebrity Update for revised schedule for sailings after September 25. All of us at Princess share your concerns about the effects the recent hurricanes had in the Caribbean. The islands are part of our community, and we are committed to supporting relief efforts there. We have learned that recovery efforts in the Old San Juan area are looking positive. Therefore, we intend to continue with the call to San Juan on October 10 and will keep you advised of any changes that arise. We have also learned that Antigua and St. Kitts are accepting our ships and guests so we intend to continue with the current itinerary. None of our Western Caribbean or Panama Canal cruises have been canceled or changed. We sincerely encourage guests with current reservations and anyone considering a Caribbean cruise to move forward with their plans. We look forward to continuing to provide the great cruise experience our guests expect and the economic support the region relies on, more than ever. Now that the hurricane has moved out of Florida, it's time for the recovery to begin. One of the main tasks falls on the U.S. Coast Guard: determining the condition of the Florida Ports (as well as those in other states along Irma's path) and getting marine vessels moving again. #BREAKING #USCG @USCGSoutheast United States Coast Guard estimates re-opening @PortTampaBay at 2pm on Tuesday. Three fuel vessels expected. Florida's Governor reported that dozens of tanker trucks were loaded with gas (with fuel stored at Port Tampa Bay), and continue to be filled tonight. They are delivering fuel to the Tampa Bay area and beyond. The fuel vessels waiting offshore for the port to reopen will replenish the supply. PortMiami will open tomorrow, September 12th. Marine Terminals POMTOC and SFCT may open Wednesday depending on final assessments. Cruise travelers should contact their cruise line directly for more information on cruise itineraries. Please stay connected via www.portmiami.biz and on Twitter @PortMiami @MiamiDadeCounty @MiamiDadeEM for official updates. The port will remain closed for marine traffic at least through 4 p.m. Tuesday, September 12. Upon conclusion of side sonar underwater inspections by NOAA we will update the public as to the opening of PortMiami's navigational channels. Broward County offices, including Port Everglades, will reopen for normal business hours tomorrow, Tuesday, September 12. Port staff should contact their supervisor with any questions. Damage assessment and recovery efforts are continuing. Port Everglades will fully reopen following approval from the U.S. Coast Guard. Disembarkation / Embarkation ports for Carnival Cruises have been posted now that the ports are open. See their September 12th 9:30 PM Advisory. BCSO, Canaveral Fire Rescue has been on scene at Port making preliminary assessments; no major damage noted at this point. All vessels that remained in port are secure. We will begin assessing general harbor conditions soon to facilitate return to normal operations as soon as possible. Port remains closed until further notice. Cruise passengers who have had their cruises extended, due to Hurricane Irma, are now heading towards Miami or other ports for disembarkation once the ports have reopened. In addition to letting passengers return from extended voyages, cruise lines are mobilizing to provide humanitarian aid to the Caribbean islands that were impacted. 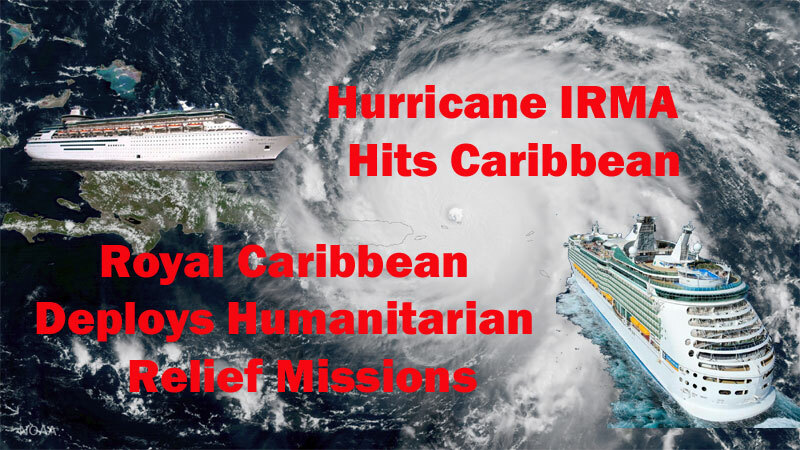 See Hurricane Irma Cruise Ship Impact for the latest plans regarding future sailings and humanitarian efforts. Getting the ports reopened is a critical part of getting disaster relief to remote areas. Thank you to the United States Coast Guard and other Federal and Local agencies who are taking part in the massive efforts to get Florida's infrastructure re-established. By a joint resolution approved December 18, 2001 (Public Law 107-89), the Congress has designated September 11 of each year as “Patriot Day,” and by Public Law 111-13, approved April 21, 2009, the Congress has requested the observance of September 11 as an annually recognized “National Day of Service and Remembrance”. President Trump officially proclaimed September 11, 2017, as Patriot Day. In his remarks, the President said "September 11, 2001, will forever be one of the most tragic days in American history. Through the unimaginable despair, however, ordinary Americans etched into our history remarkable illustrations of bravery, of sacrifice for one another, and of dedication to our shared values. The shock from the indelible images of the smoke rising from the World Trade Center and Pentagon gave way to countless inspiring videos of co-workers helping one another to safety; of heroes running into collapsing buildings to save the innocent people trapped within; and to the unforgettable story of the patriots who charged the cockpit of Flight 93 to save untold numbers of lives. These heroes moved us with their bravery. They make us proud to be Americans. " 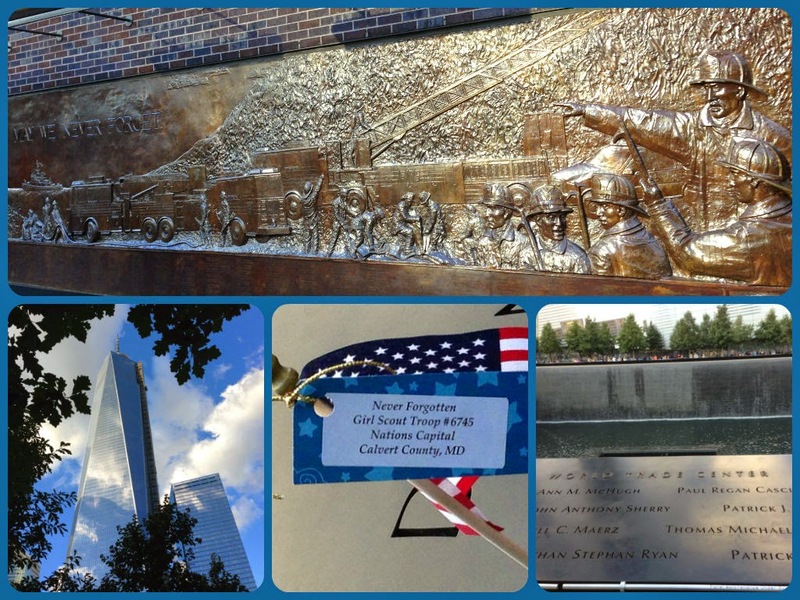 During our pre-conference stay in New York in 2013, we decided to revisit the site of the World Trade Center. The site was quite different from the last time we were there. Rebuilding of the towers was moving along nicely. The 9/11 Memorial fountains had been completed. Click on the link above to view the album. What was to have been a celebration of our 25th Anniversary, quickly became a very unique experience as we observed the hospitality and caring from so many people across the globe as our journey home continued. Today as we celebrate our 40th Anniversary, we once again reflect on the moment we learned about the events unfolding thousands of miles away from where we were.